Yesterday was another moving day and today was going to be general "get things done" and "prepare for Easter" day. First up? 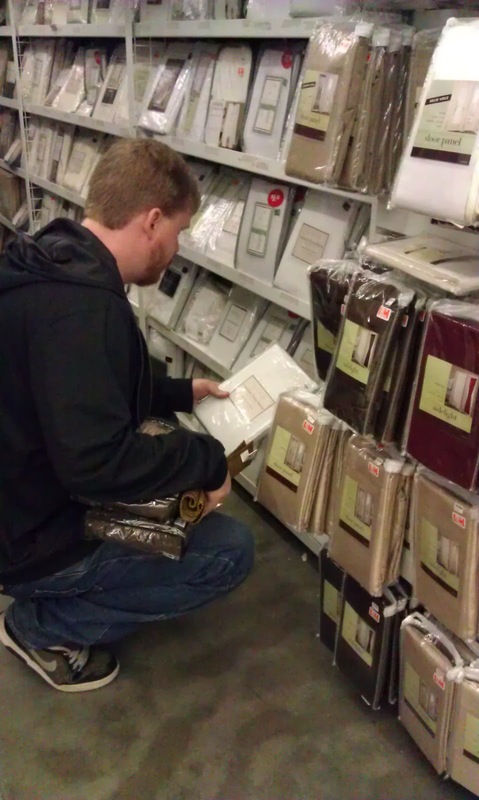 Buying some drapes for the living room. 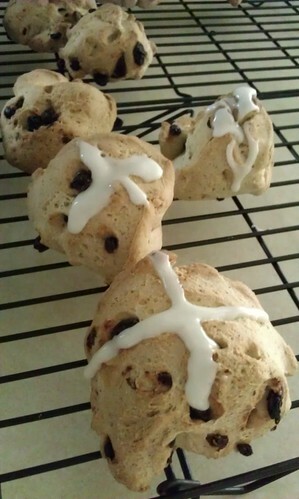 I also decided to try a hot cross bun recipe (after being recently inspired by a tweet from an awesome person). I was originally going to make it by hand, but after all the moving I decided to give my wrist a rest and use the bread machine. the first batch came out a little lumpy. I'd cut down the recipe since my bread machine can't make such large batches, and I may have messed something up. The obnoxiously direction of putting "2 eggs into 2-cup measuring cup. add enough water to measure 1 1/3 cups" didn't make me too happy either. Why exactly aren't we on the metric system? Gah. 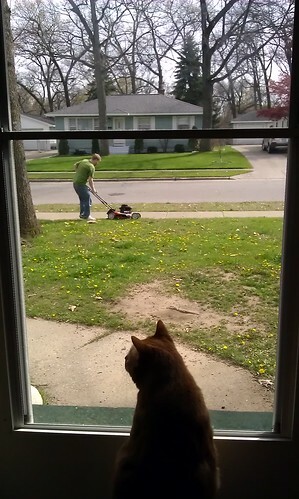 While I was messing around in the kitchen Chris assembled the lawn mower and decided to mow the lawn. The cat enjoyed watching out the front door. Unsatisfied with the first batch, I decided to make another batch from a different recipe in the bread machine. While I was waiting for the bread machine to churn out another batch of dough, I made a small basket for my parents and a bag for my brother. 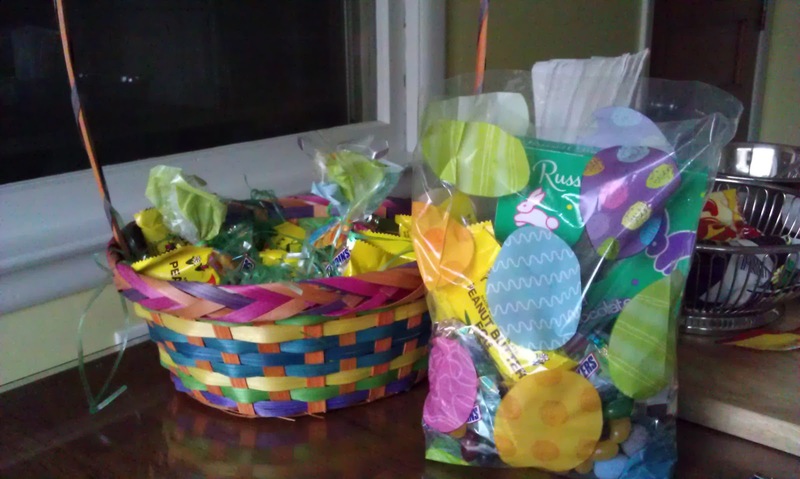 I don't usually do anything for Easter but I dont know. This year I wanted to. 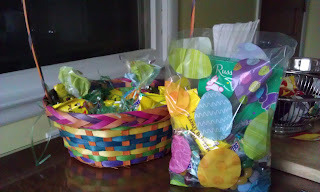 I was probably partially motivated by a desire to have a bunch of candy in the house. 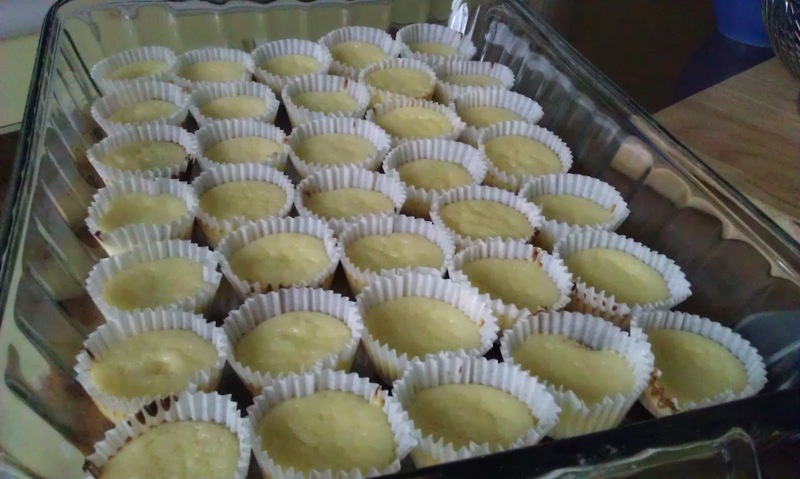 When 9pm rolled around, the second batch was finally ready. 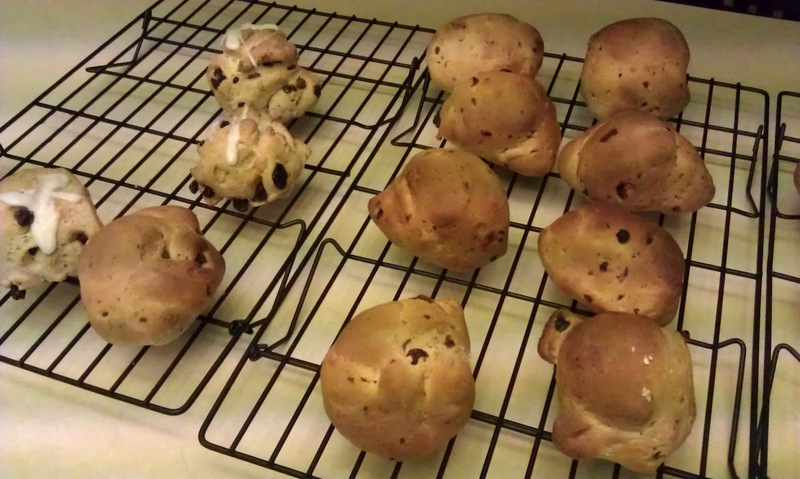 This time I think I overcooked them slightly, but they were not as dry as the first batch. To the first batch's defense, Chris really liked them. Next time I'll have to remind myself to start cooking yeast recipes earlier in the day. Mid-afternoon is probably not the best time to start. 1120/365 - Comfort and Adam! 1110/365 - Wait, We Have How Much Stuff? !